All correspondence from Over There was subject to censorship to ensure that no information of military value fell into enemy hands or became public knowledge. There was no expectation of privacy for any words sent home. For this reason, all Sam’s letters from the end of September, 1917 onwards are deliberately devoid of specific details regarding his actual location and activities. Officers censored the letters written by their men and were expected to self-censor their own writings. To assist the troops of the AEF with the task of self-censorship, a small printed card was supplied to each man regarding the dangers of “talking too much” and the precautions to take when writing correspondence. Relying on notes from Sam’s pocket diary and research into his unit’s history, I will provide commentary along the way to help create a context and background with which to better understand his writings. Reconstructing Sam’s personal movements with precision from February through November, 1918 is very difficult. Rather than simply operating as a single unit, representatives from Hdq. Co. were distributed throughout the 103rd Infantry in order to maintain liason with the different elements at Battalion, Company and even Platoon level. For convenience I have used the location of the 103rd Regimental HQ as the locus of Sam’s general whereabouts, but as his letters indicate, Sam was also frequently in the front lines and under fire anywhere along the entire Regimental front. First Sergeant Sam Avery and the rest of Hdq. Co., 103rd Infantry left Camp Bartlett on September 24, 1917 and traveled by train to Hoboken, N.J. where Sam and men of the 1st Battalion boarded the S.S. Saxonia and set sail for Halifax, Nova Scotia the next day. They arrived safely in Halifax 3 days later. 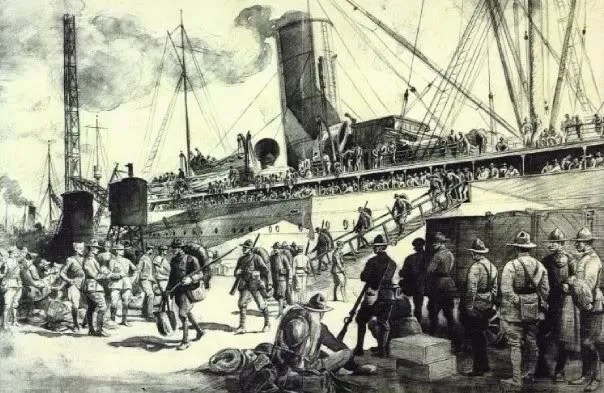 After spending one night in Halifax Harbor, the Saxonia sailed in convoy across the Atlantic to Liverpool, England, arriving safely on October 9, 1917 after 10 days at sea. From Liverpool, the 103rd Infantry moved by train to Camp Bordon in southern England, arriving on October 18, 1917. Camp Bordon was a large military training area used by the British and Canadian Armies. The 103rd Infantry left Camp Bordon after 2 days and proceeded to the port of Southampton, from which they sailed across the English Channel to France on October 22, 1917. The 103rd Infantry disembarked on October 22, 1917 and marched to Camp Hadsfield at Le Havre, France. 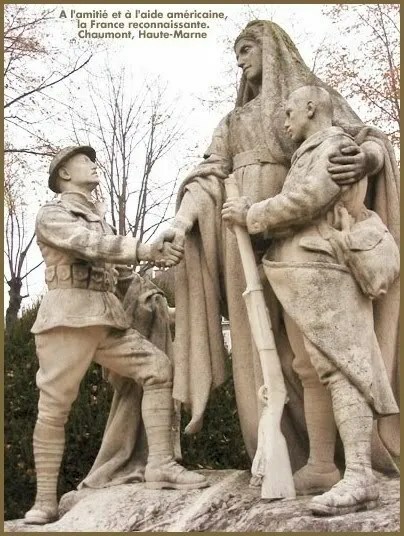 The next day they traveled again by train to Liffol-le-Grand on the road to Neufchateau in the Vosges region of northeastern France, arriving on October 25, 1917. 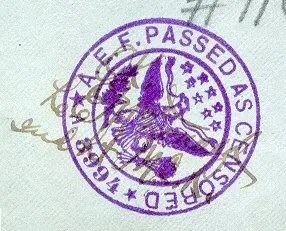 The 103rd Infantry remained at the new AEF training area in Neufchateau, France for more than 3 months before being hastily deployed to reinforce the French Army in the Chemin des Dames sector, where they received their baptism by fire. The 103rd Infantry moved to the front on February 5, 1918, traveling by train to Soissons in the Aisne region of north-central France. On February 9, 1918 the platoons moved into the line with the French battalions which were tutoring them. By the night of February 10, 1918 Sam’s clerk was also in the line with his field desk and typewriter. 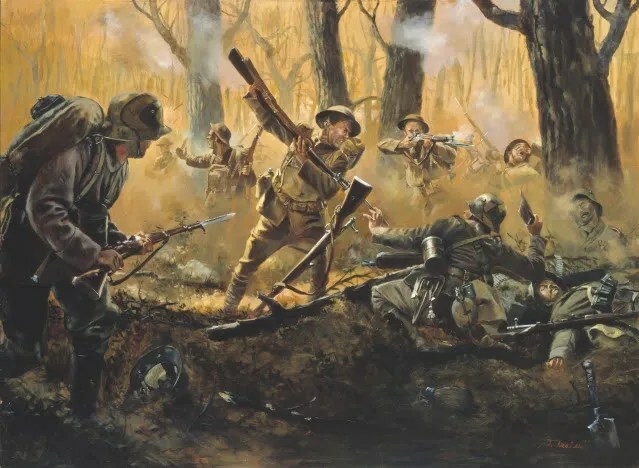 CHEMIN DES DAMES SECTOR: The men of the 26th Division received their baptism of fire in February, 1918 while still pupils of the Great War under the instruction of the French army. 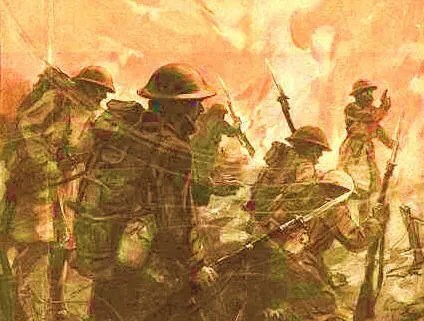 They learned some rough lessons from the Germans in trench raids and gas attacks and experienced the first rolling barrage ever fired by U.S. artillery. TOUL SECTOR: While occupying this sector the 26th Division was engaged with the enemy at Bois Brule (Apremont), April 10-13; Seicheprey, April 20-21; Humbert Plantation, May 27; Richecourt, May 30; and Xivray-Marvoisin, June 16, 1918. 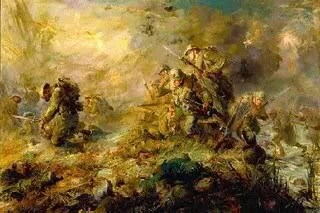 PAS FINI SECTOR: The 26th Division relieved the 2nd Division in the line that ran through Bois de Belleau (Belleau Wood) and the villages of Vaux and Bouresches, with the town of Chateau-Thierry a short distance to the southeast. From this point the 26th Division prepared to jump off for the Aisne-Marne offensive. AISNE-MARNE OFFENSIVE: The 26th Division made repeated attacks during the week of July 18-25, 1918, advancing a total of 17.5 kilometers and liberating the towns of Torcy, Givry, Belleau, Epieds, Trugny and Etrepilly. RUPT SECTOR: Occupied by the 26th Division prior to joining the St. Mihiel offensive. 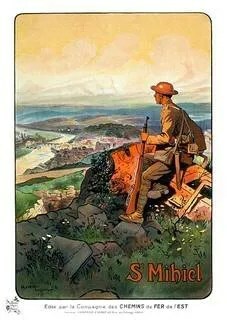 ST. MIHIEL OFFENSIVE: During this offensive from September 12-16, 1918 the 26th Division made a night march to occupy Vigneulles, thereby linking the lines of American attack on the west and south aspects of the St. Mihiel salient. TROYON SECTOR: The 26th Division then occupied the ground captured during the St. Mihiel offensive, including the liberated towns of Thillot, St. Maurice, Vigneulles, Vieville and Hannonville which had been occupied by Germans for the past 4 years. MEUSE-ARGONNE OFFENSIVE: During this offensive in the bloody Verdun region from September 26-November 11, 1918, the 26th Division experienced 26 days of continuous artillery bombardment and machine-gun fire while making 2 attacks on a large scale over a wide front against some of the most important German positions along the whole Western battle line. 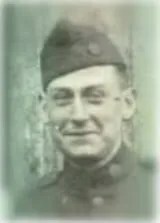 Sam managed to return safely home with the surviving members of the 103rd Infantry Regiment in April of 1919, receiving an Honorable Discharge for Honest & Faithful Service. Read Soldier’s Mail from Over There here. Special Thanks to Don Troiani for permission to display his original artwork “Men of Iron.” This work may not be reproduced without express permission of the artist. 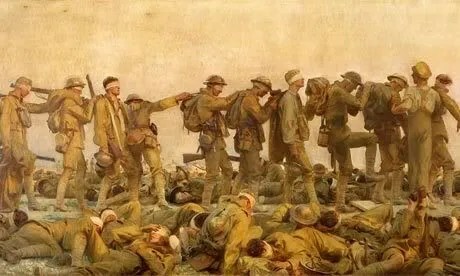 Please follow the link for Historical Art Prints at http://www.historicalartprints.com/ in order to procure this and other fine works of original historical art. Just dropping by to wave a paw and wish you well Sergeant Avery. We’re all looking forward to getting you home safely. Hi I am looking for info on a bronze medallion 3X3 in. It has 2 soldiers on it with a church or town hall in background. Wording: Lorraine, Etats- Unis, 12 Sept 1918. If anyone has an idea on this medal Please reply. Might have something to do with the Saint Mihiel Offensive. It sounds like a commemorative medallion which was struck for U.S. veterans of the St. Mihiel Offensive. Many such medallions were created in France to commemorate unit participation in campaigns during the Great War. You can find other examples here on the “Over There” and “Aisne-Marne” pages on the site. makes me think of doing a blog when the book is done.